We invite you to visit our exhibit hall, where you’ll find exciting information about Sanford Underground Research Facility (Sanford Lab), the city of Lead, and the history of Homestake. Our exhibits include historic photographs, videos, science and mining artifacts, and a 3-D model of the undergroundãfrom the surface down to the 8,000-foot level! From our deck, view the 1,000-foot-deep Open Cut, an iconic landmark in the Black Hills, and see the many varieties of rock that created this unique landscape. Admission is free.Hours of operation are 9am-5pm. Tours are available for a fee. Your tour includes a trip through historic Lead, and a surface tour of Sanford Lab. In the Yates hoist room, you’ll see hoists that have been in operation since 1939, including how they are maintained. You’ll also learn about the more-than 5,000 feet of rope that take personnel to the underground. If you’re lucky, you may even see the hoists in action! 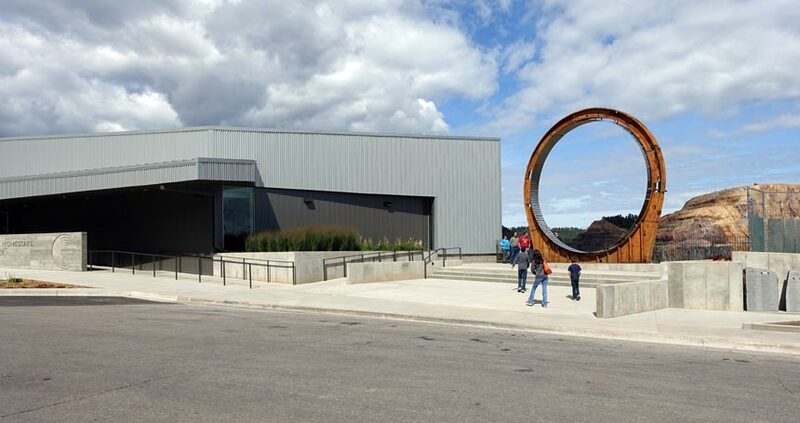 You’ll also learn a little bit about the mining process and the state-of-the-art Waste Water Treatment Plant designed by Homestake Mining Company and still used today by Sanford Lab and other companies around the world. Tours last approximately one hour. Tour SchedulesSummer Tours run daily from June 5 to September 30 at 10:00am, 11:30am, 1:00pm, 2:30pm, and 4:00pm. Large groups or bus tours should book tours at least one day in advance. 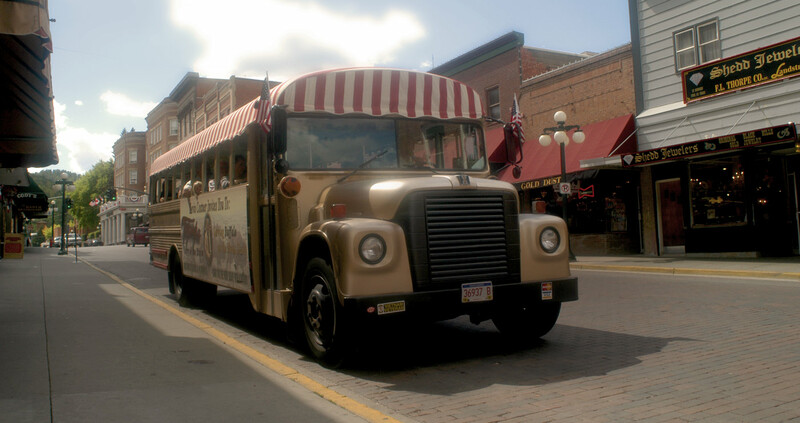 Winter Tours are now available DAILY! We invite you to visit our exhibit hall, where you'll find exciting information about Sanford Underground Research Facility (Sanford Lab), the city of Lead, and the history of Homestake. The Homestake Gold Mine was once the largest and richest gold mine in North America.